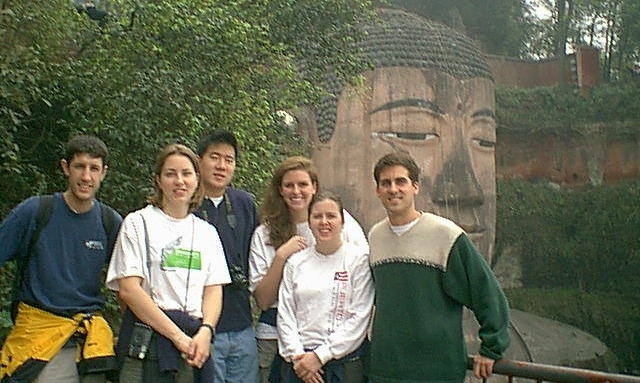 My first program group I came to Asia with in 1999 (Drew Johnson, Summer Owens, Pat Ku, Meagan Vinson, and Melody Harris. Last night, I had dinner with a group that was visiting my city from Atlanta. Though I only passingly knew two of them prior to this week, I had a great time with the entire group. As always, it is fun to see Asia through the eyes of those who visit here for the first time. We had a meal, I showed them around some of the city, helped communicate with their hotel regarding their check out plans this morning, bid them farewell, and then drove back to my apartment 45 minutes away. 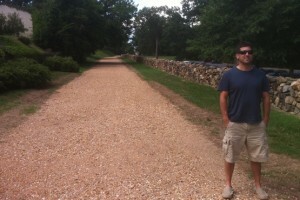 On the drive back, things seemed to be in slow motion as I thought about and processed my life here. I live in a massive Asian mega-city. There are more than 2,000 buildings over 20 stories high. I can’t even imagine how many buildings over 5 stories high there are here. As I drove, it hit me that I had been driving all day in this city (which dwarfs New York in many ways) and I had not looked at a map all day. Not once. Bottom line. . . I have been here a long, long time. This morning, more thoughts along this line have flooded me. So here are four indicators I have lived in Asia a long, long time. I will go entire days without speaking English – This is one of those things I would not have dreamed of when I was a kid. Now, I don’t think twice about it. By no means am I some super-linguist. However, I can more than comfortably get by doing life over here speaking the local language. The language was such an intimidating mystery when I first arrived, but now it is fairly comfortable. I love this aspect of living overseas for a long time! Eating with the visiting group from Atlanta two nights ago. . . the food, as always, was tremendous. My taste buds have changed – Bottom line, I am an American, with American tastes and American preferences. However, something shifted about 3-4 years ago. I stopped thinking about American food ALL the time. Don’t get me wrong, I still miss Chick-fil-A and BBQ. I kill America breakfasts any chance I have. However, now I am fine with going weeks on end with little to no “western food”. As a matter of fact, when I am traveling outside of this country, I sincerely miss the food and long for it. . . even when I am in America! I would have NEVER predicted this. My first summer here while I was in college, I lost 25 pounds in 5 weeks (and I only weighed 159 lbs. to start). The intestinal assault was insurmountable for me at the time. I didn’t like the food and it would destroy me physically. My Mom and sisters literally wept when they first saw me walking off the plane that summer, because I looked like a returning POW or an emaciated refugee. Not pretty. My first stay here of 3 years, I returned to the States again so skinny that I was ashamed. I was like a shy dog after a haircut. Doctors were concerned. 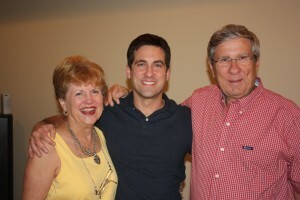 Even the elders at my church told me that if I couldn’t keep weight on, I needed to move back to the States. I had dipped down into the low 140s. It was rough. Not the case anymore. I LOVE the food here. I never get sick of it. Nothing makes me sick. Now, my problem is gaining weight! 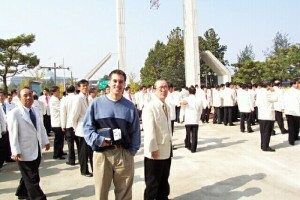 Me attending the world’s largest church in Seoul, Korea in 2002 (looks a little cult-ish, but it really was great). 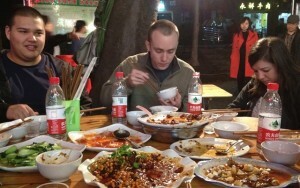 There are 8 Asian mega-cities which I know well – I never dreamed I would be able to give restaurant advice to friends traveling in Bangkok, touring tips for colleagues going to Seoul, know some of the best coffee houses in Hong Kong, and speak intelligibly on the places to stay in various sections of Beijing, but I do. I have a more thorough understanding of eight Asian mega-cities than I do of all but Atlanta in America. I’ve been in Asia a long, long time! I have long-time local friends here – Two days ago I met an Asian friend I have now known for 10 years. I love the guy. He is a bank executive and we meet bi-weekly for lunch and to just hang out. Great times. Yesterday I had breakfast with a local friend I first met four years ago. We shared about life, his first year of marriage, and future plans and desires. Great time. This afternoon I will meet a local friend I first met in 2007. He is now a professor at a local university. Looking forward to the time. I just sent an email to a different local friend I first met in 1999. Though we now live in different cities, we talk at least every other week. I see him when I travel back to my old city of residence each month for meetings. You get my point. . . I have great local Asian friends now that span many years over here. This final point, long-time local friends, is an incredible honor and joy in the longevity of my living in this area of the world. This aspect is definitely my personal highlight! 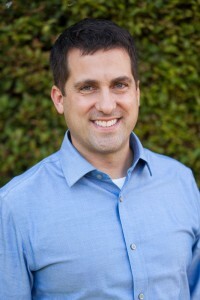 John, I truly loved this blog. Now I see how much you do love Asia ,and all the friends you have, make for a great time. Before I worried that you were lonesome and missed living here, now I can stop worrying, I see that you are a happy camper and that makes me happy. I really do enjoy hearing about your life and adventures and I am sooooooo glad you acquired a taste for the food and you look marvelous. I like you without the beard, either way you are a good looking man. As for the food you and the Atlanta group were eating, it did look deliscious. Take Care & I keep you in my thoughts & prayers daily. Love & Hugs!!! Thanks Jane…I do still REALLY miss America, family, and friends, but I also do love the people and place over here. Strange but good thing have two countries, but I guess that is the life have have lived so far. You are on the right track, bro! One way to take your Asia-authenticity up another notch is to marry an Asian wife! Then, you are all in! That is pretty much what every cab driver tells me also! Gunter… that last picture. Just. Well. Is that sweater tucked into your pants?? Maybe that should have been #5 on your list. It was a different time, the early 2000s. Much simpler. A time that valued creative, colorful sweaters and the freedom to tuck or not tuck. How I do miss those days. . . and that sweater. We didn’t live in Asia long enough for me to conquer numbers 1-3, but, thankfully, I can relate to number 4! It was fun reading your list! Great hearing from you Erika! Seriously, you guys still come up in conversations often and we STILL really miss you guys! Hope you are enjoying NC! John.. another milestone will be when you can wear a surgical mask while riding your scooter without feeling self-conscious. Jerry, not there yet. Still trying to maintain my cool-guy image. Bill Cosby wears John Gunter sweaters. Howie, I thought you would resonate with the point about the food. First, you were there to see me come back looking like a walking skeleton. Second, I assume you remember the night you told me you wanted my food “hot” when we went off of Buford Highway. You realized quickly that this hot is much worse than what you normally call hot! Did you acquire a Chinese accent? No, but my English has definitely suffered! I was thinking that maybe it changed slightly. I work with Chinese contractors some times and we never get to understand each other. Imagine a Kenyan accent vs Chinese. We stick to emails for work to be done. But they are good people I must say. The food…one thing comes to mind. 😀 John Gunter loves Chinese food, that’s what matters not what’s on my mind. Btw, we have a new president and America is going to be mad with us. I digress. Thanks for the heads up. . . I’ll get online and see what you mean. I’m sure we really don’t understand much about what is really going on in Kenya. I’ll pray for the best for you guys! Thank you John! Have a great week ahead. Really like reading about your life in Asia, John! I took Mandarin for one year when I was 13-14 but can only remember a few phrases…it was daunting but fun. I’ve enjoyed the reactions of Chinese people I’ve crossed paths with over the years when I’ve said hello in their language. 🙂 To go days though, without speaking any English is just amazing! Did you study the language at all prior to your arrival in the country? Yeah, it’s still pretty fun surprising people. Even over here, people assume you can’t speak. I took a year in college and then had a friend’s Mom help me a little prior to moving here. However, it was really only by living here was it possible to actually learn. 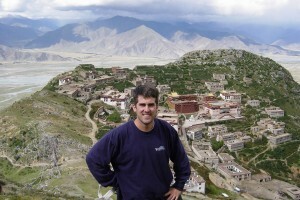 Reading your blog is making me miss East Asia, John!! Yeah, that is correct. . . now I am in the city that you were in. That first group for me was a really great one, as I remember yours being the same. JUST ate some gongbaojiding for lunch. . . jealous?!?! 🙂 The group and I enjoyed being taken care of soooo well. Great spending time with you guys!